Are You A Beatles Autograph Hunter? 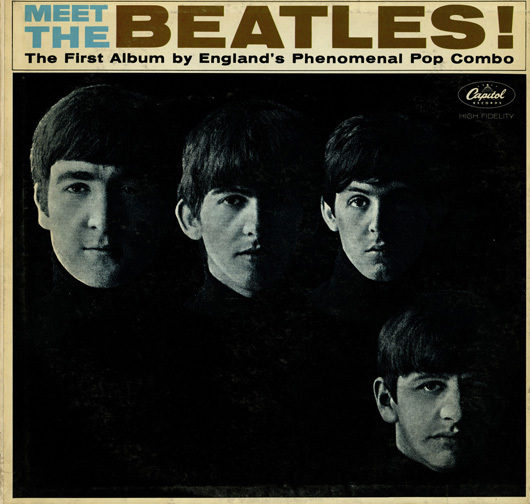 I’m not, but I was kind of intrigued reading this article about a forthcoming auction of an autographed copy of the Beatles US LP “Meet The Beatles!” from 1964. 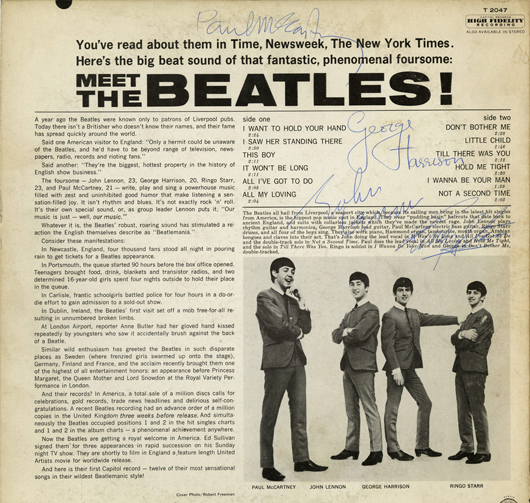 Signed on the rear cover by all four Beatles on the eve of their legendary Ed Sullivan Show TV appearance, the record comes from the estate of Dr Jules Gordon who treated an ailing George Harrison at New York’s Plaza Hotel, the hotel where the Beatles were staying during their first US visit. George was suffering from a very sore throat and Dr Gordon, the house physician at the hotel, was called upon to treat him. In fact, at one stage it looked like he might not be able to perform at all on the TV show – which broke the band big time in the US. Its sobering to think that a simple sore throat could very well have changed the course of popular music history…. This entry was posted in Beatles, Beatles Collecting, Beatles Music, George Harrison and tagged Beatles, Beatles Collecting, George Harrison by beatlesblogger. Bookmark the permalink.